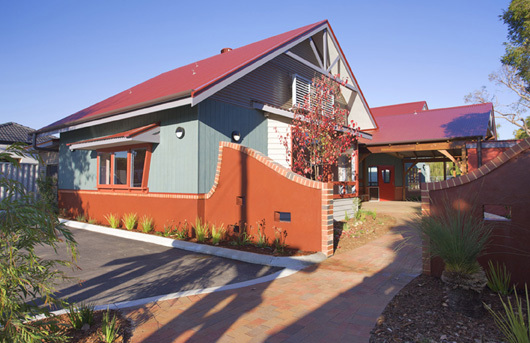 This school grew out of the bitumen, bricks and mortar of a 1960’s state school site that had meagre vegetation. A Master Plan completed in 2007 provided for the adaptive reuse of existing buildings plus new buildings to transform the campus. 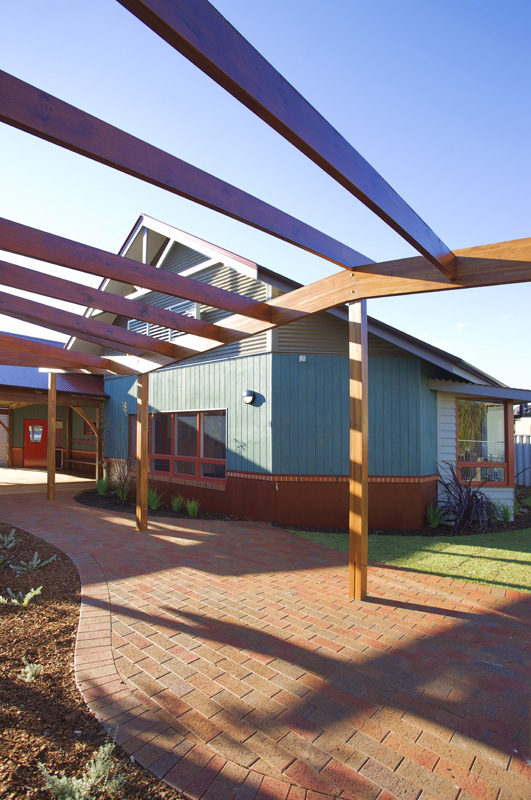 Creative landscaping plus the gestures and colours of the new classrooms and kindergarten have transformed the character and quality of the school environment. 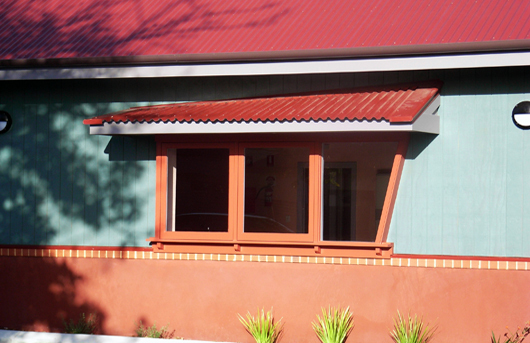 A membrane shade canopy over an external timber stage dissembles the rigidity of the old corner and provides an outdoor performance space for the whole school. Despite the absence of an inspiring natural site, an artistic design intention offers architecture to uplift the spirit. 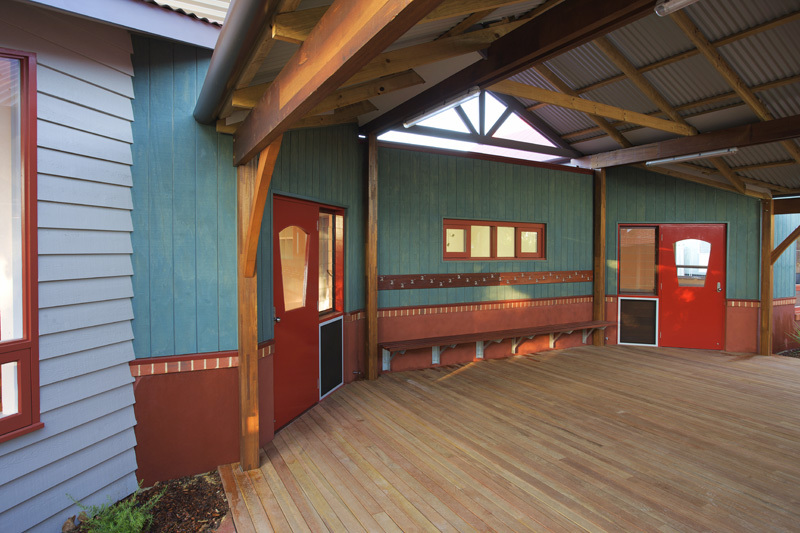 The two BER funded kindergarten rooms link across the site and share a generous entry verandah, which doubles as an outdoor covered playroom. The building sits comfortably in the suburban streetscape whilst connecting to the main campus at the rear. 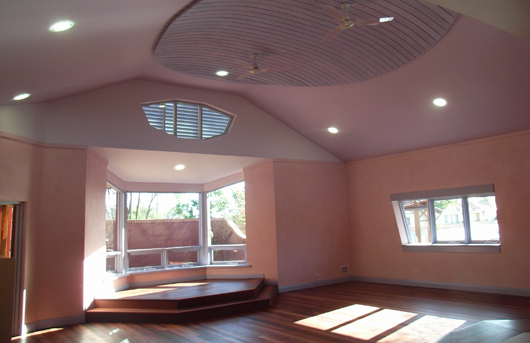 Each room has a bay window “stage” as well as kitchen, craft and movement areas. Semi-transparent lasure painted surfaces create a harmonious atmosphere whilst innovative use of ventilation systems, wall insulation and thermal mass modulates temperature fluctuations.